It is important to distinguish normal morning sickness from hyperemesis. Many pregnant women experience normal morning sickness during their first trimester. The difference between morning sickness and HG is that women with morning sickness are still able to eat and go about daily functioning. Someone with HG has a lot of trouble eating and gaining weight and actually loses weight. An HG sufferer struggles with daily functioning – including going to work, taking care of the children, doing simple daily chores, even taking a shower. 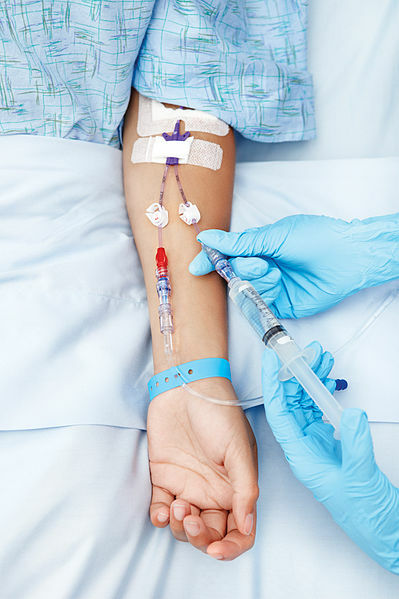 Many women with HG end up in the ER due to dehydration and usually undergo long-term IV treatment to prevent dehydration and also to administer anti-nausea medication through the IV. The worst case scenario with HG is someone with symptoms so severe that the liver malfunctions and the pregnancy ends in a natural miscarriage or mom’s body is shutting down to the point where the doctor recommends termination of the pregnancy in order to save mom’s life. Because hyperemesis is so rare (only 1-2% of pregnant women get HG), many people have never heard of it and do not understand this disorder properly. I hope this blog clears up common misconceptions about women with HG. Please share this information with the women in your lives – it can possibly save someone’s life!